Toronto Blue Jays third baseman ​Josh Donaldson has been ​the subject of trade rumors for months, but this latest news will have many thinking that he may finally be leaving Toronto. Donaldson's locker was apparently emptied, leaving only his nameplate, sometime over the past day or two. Also, according to reports, the Blue Jays have maintained the hope that they can deal him before​ the August waiver deadline. ​​Donaldson has had a rough season. He's been injured since May 29 with a calf issue that refuses to go away. There was​ some hope that he would return to action in August, but so far he has yet to be designated for a rehab assignment. In only 36 games this year, Donaldson has not been his usual power-hitting self. His slash line for the year stands at .234/.333/.423 with five home runs and 16 RBI. Those are not diastrous numbers by any means, but for a guy who already has a major injury concern, they don't do a lot to raise his trade value. 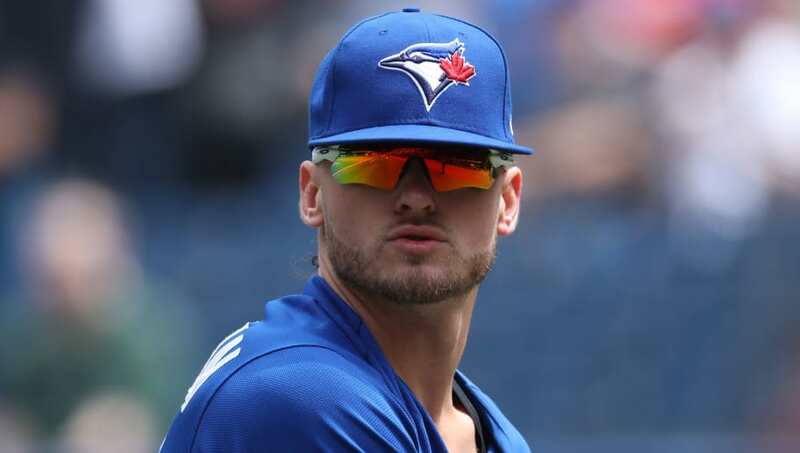 The good news for Donaldson and for the Blue Jays is that he missed a few games last year with a similar injury, but then came back to slug 24 home runs in 67 games in the second half of the year. Perhaps a suitor or two will think that the power hitting third baseman will be able to repeat such a feat and will be a valuable asset down the stretch. So far no offers have been confirmed to be in the works, but with Toronto almost certainly out of the playoffs and the waiver deadline approaching, they need to make a move soon.